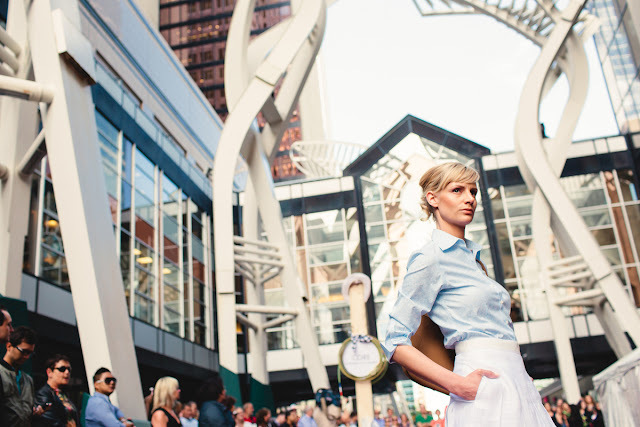 Moving on to another Stampede-related fashion event in celebrating the once-in-a-lifetime 100th anniversary celebration of the Calgary Stampede. 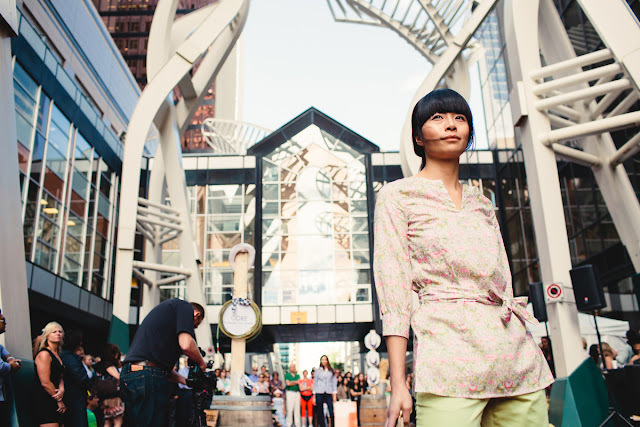 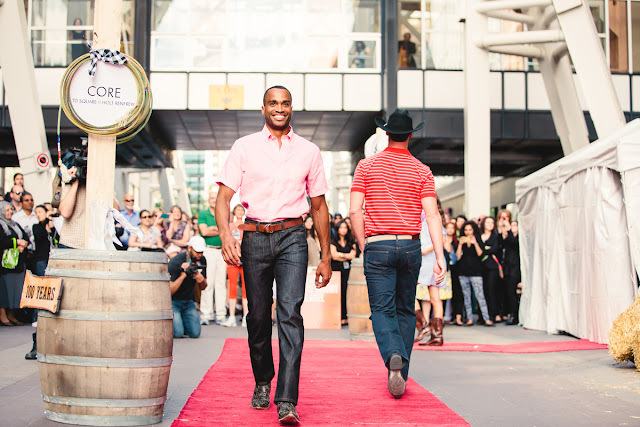 The CORE shopping centre YYC hosted an outdoor Stampede-style runway show last week on the street of Stephen's Avenue. 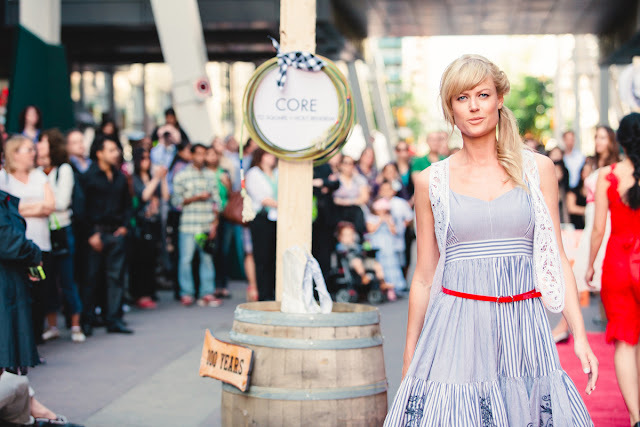 CORE's fashion boutiques and retailers, including Holt Renfrew, Harry Rosen, Brooks Brothers, H&M, and classic Calgary Stampede cowboy hats from Smithbilt Hats Inc. had joined forces to come up with Stampede-style ideas. 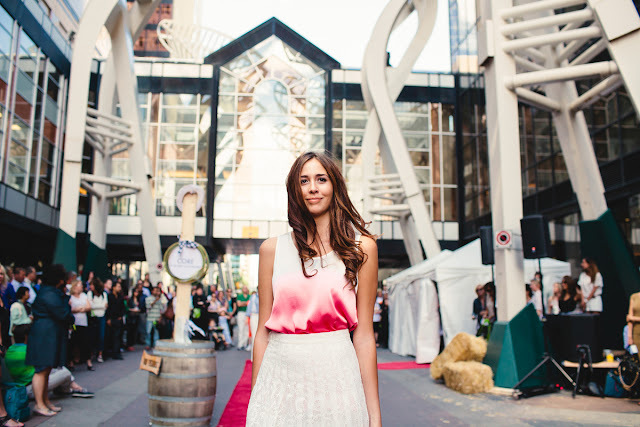 In addition to models from Sophia Model International, locally known personalities, which include humanitarian Amanda Lindhout; Chatelaine Magazine’s Entrepreneur of the Year, Zahra Al-Harazi; rising country star, Ryan Laird, Ryan Massel, Michelle Magnan, and Robyn Adair also walked the runway. 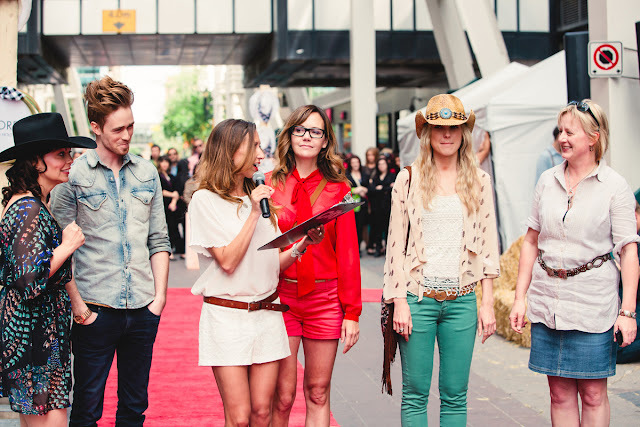 Most styles in the runway show were fusions of semi-western pieces and everyday casual wear; Definitely not the traditional western-heritage looks I imagined. 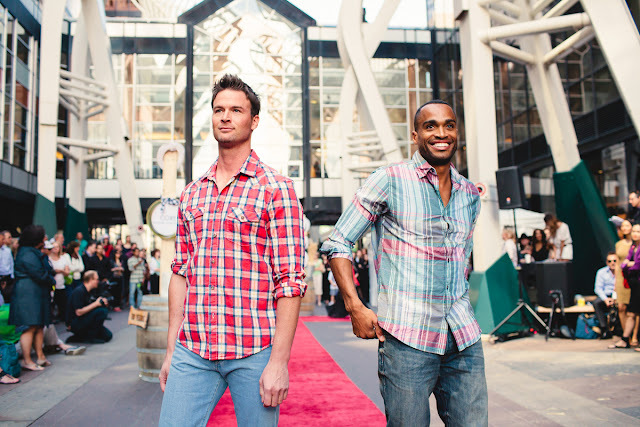 On the other hand, these styles are probably practical enough to go beyond Stampede celebration, and further into the midst of summer. 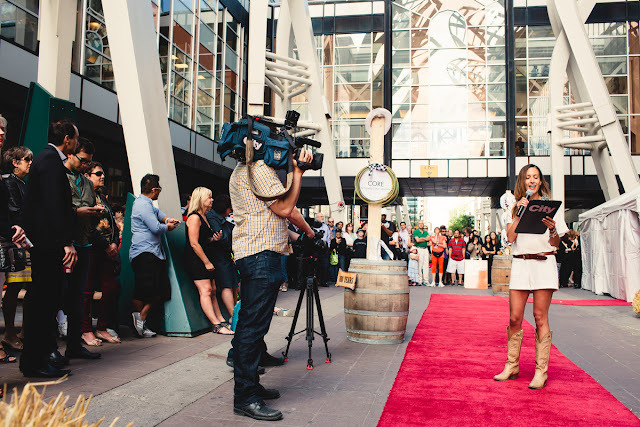 CityTV Jill Belland was the host of this event, and at the scene, she also announced the winner of the CORE contemporary Stampede-style contest. 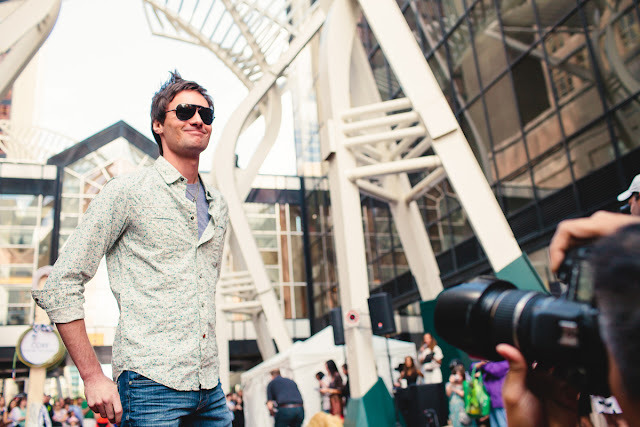 I like to thank Tye Carson for the photos.